Nokia announced that it has received approval from the European Commission for its pending acquisition of Alcatel-Lucent. The proposed acquisition was notified to the European Commission on June 19, 2015 and was cleared on July 24, 2015 without conditions following a Phase 1 review. Alcatel-Lucent and Vodafone are conducting the first European field trial of TWDM-PON ultra-broadband access technology as the operator prepares its network to address growing network data traffic and mobile backhaul demands. INTX Internet & Television Expo, Chicago, Il., USA, May 04, 2015 Alcatel-Lucent (Euronext Paris and NYSE: ALU)has expanded its portfolio of ultra-broadband access products with a new platform that will help cable multiple system operators (MSOs) in North America extend the reach of their 10 gibabit-speed fiber-optic services to more businesses and consumers. Nokia and Alcatel-Lucent have entered into a memorandum of understanding under which Nokia will make an offer for all of the equity securities issued by Alcatel-Lucent, through a public exchange offer in France and in the United States, on the basis of 0.55 of a new Nokia share for every Alcatel-Lucent share. Alcatel-Lucent has been named by China Telecom as one of its top three suppliers for the rollout of mobile ultra-broadband services across China. Alcatel-Lucent is to deploy 4G LTE and IP networking solutions throughout Scandinavia for AINMT Holdings AB. The company will initially roll-out a complete mobile broadband access network for ice.net in Norway, Net 1 in Sweden and Denmark. Alcatel-Lucent has opened a dedicated facility in Tokyo designed to give service providers and enterprise customers hands-on experience in the co-creation of new ultra-broadband and cloud-based services and applications. Alcatel-Lucent is extending its wireless mobile backhaul capabilities to provide high-capacity deployment coverage via LTE heterogeneous networks (hetnets) - a mix of macro and small cell base stations. 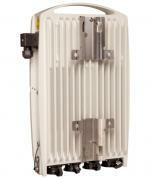 Company has announced a new full outdoor microwave packet radio (MPR) networking unit to deliver LTE access.